The exhibition introduces Belgrade’s contemporary art positions, with their links to Zagreb and Novi Sad, and explores their historical origins and role models. The concept of the show deals with non-linear moments of upheaval over a broad period of time from the 1920s to the present, in which contemporary art production in Belgrade, due mainly to artist-led initiatives, was involved in a close international exchange. The exhibition deals with the approaches local artist initiatives were and are using to create contexts of art and theory production. By framing fields of reference and establishing networks, their individual positions in the art world also become graspable on a greater scale. 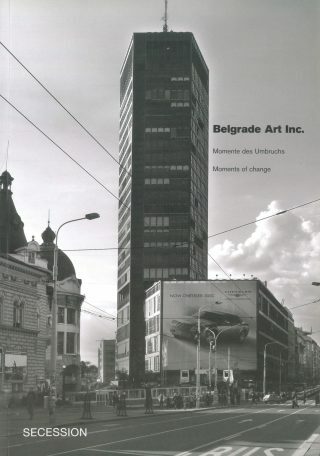 Three group projects and thirteen individual positions (cooperations) are presented in Belgrade Art Inc. The historical artist group Zenit, as well as the artists Mrđan Bajić, Milorad Mladenović, Škart group, and Mileta Prodanović, all deal with urbanity and archaic counterparts in different ways. Milorad Mladenović works with photographs of painted-over graffiti in Belgrade’s urban space. He arranges individual photos in sequences, producing new alphabets and sign sequences. Mileta Prodanović is present in the exhibition with photographs and water colors. In his photographs, the motif of an angel repeats itself. This angel is a specific detail from a fresco in Mileseva, a monastery in Serbia, but it appears without context, reduced to a symbol. The popularity of this image in recent years is caused by an era of renewed nationalization and religiousness and has been massively present in public spaces, magazines, logos, and product packaging. In his watercolors, Prodanovic cites historical paintings and frescoes by shifting urban castles usually found in the background to the center of the image. At the same time he links them to today’s consumer culture by labeling them with logos. Škart group is an artist group from Belgrade that discusses the theme of city in both small, elaborate graphic publications as well as in direct actions in urban space. For the exhibition they published a pamphlet that will be handed out by a performer during the opening. Tito, Richard Burton, and a bookseller from Belgrade play the main roles in an absurd scene that cynically reveals the current political confusion in Serbia. Mrđan Bajić has achieved international recognition in recent years through his work in progress Yugomuzej (1998/2002). The project is a virtual museum, located beneath Slavia square in Belgrade. The museum exhibits relicts from Yugoslavian history in a spatial-sculptural comprehensive style. 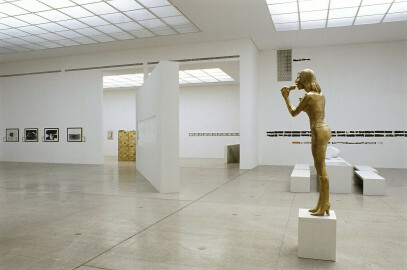 The work is shown as an installation in the Secession. An integrated CD-Rom enables a virtual tour through the Yugomuzej. This project links the themes “city” and “memorial” to aspects of ideology and history. Similar themes can be found in the pieces by Milica Tomić, Mihael Milunović, and Milica Ružićić. Milica Tomić’s work has been widely exhibited internationally in recent years. In the Secession, Tomić shows the video On Love Afterwards (2003), which documents interviews with partisans who were active in the National Liberation War during World War II. This work is about the relationship of past and the present and directly refers to the political system of the former Socialist Republic of Yugoslavia, where politics were not democratic, but more liberal than in the rest of socialist Eastern Europe, allowing or sometimes even supporting critical, conceptual art. Mihael Milunović plays with the irony of political symbols in his project Flags for the New Millenium (2004). 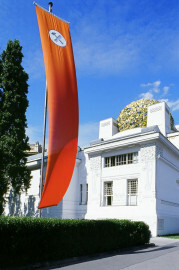 The flags, hoisted in front of the Secession, combine symbols in an unusual and disturbing way that makes it possible to recognize elements of well known flags – but do not represent any system. The artist not only attempts to deconstruct the establishment of political symbols but also to question the rituals and fetish tied to flags. 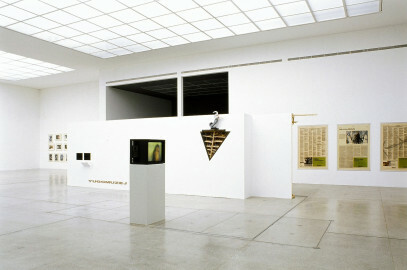 Mirjana Ðorđević also investigates phenomena of public communication forms in her installations. The SMS Archives (2004) sets SMS messages into a different media and draws attention to them as large-format announcements. The theme of identity, which has certainly been dominant in Belgrade’s art since the latter half of the 1990s, is addressed in works by Uroš Ðurić and Miodrag Krkobabić. In the series Elkepop, Uroš Ðurić affirms the artistic strategies of Elke Krystufek: the paintings are self-portraits (in earlier works, the artist has taken on a variety of roles such as soccer player, VIP, and Kasimir Malevitch) combined with text quotations. The idea for the project arose in an intense exchange with Krystufek and was first shown as a double solo exhibition in 2003 in the salon of the Museum for Contemporary Art in Belgrade. 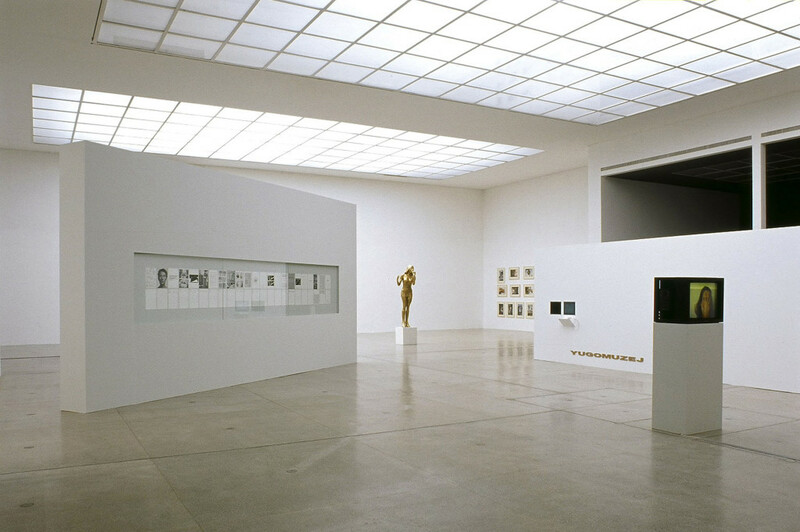 Necrospection (2000) by Miodrag Krkobabić is a work-in-progress and comprises a series of obituaries which, beginning with the artist’s year of birth, document every succeeding year as the potential final one. 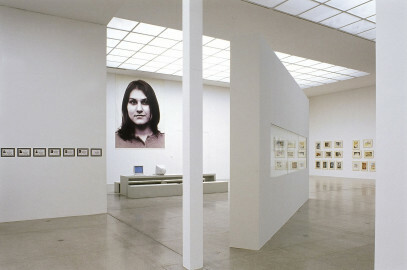 Marina Abramović, Raša Todosijević, and Braco Dimitrijević have taken up central positions in the artistic practice since the 1970s. They consider artistic production a platform for the reflection of social conflicts and find it necessary to keep the contents of their work embedded in current and historic contexts. The group projects include Zenit, a Dadaist movement and magazine from the 1920’s based in Zagreb and later Belgrade, which commissioned original textual and graphic contributions by Malevitch, Marinetti, Tatlin, Archipenko, Loos, Kandinsky, Moholy-Nagy; the exhibition entitled In Another Moment, initiated by Braco and Nena Dimitrijević in 1971, with invited artists including Lawrence Wiener, Daniel Buren and Art & Language, at the then new Belgrade Student Center (SKC) -the Center would subsequently become an internationally renowned and highly frequented exhibition site; and the Kuda.org media center, presently active in Novi Sad, running a programme of lectures and presentations by artists, media activists, theorists, scientists, and ICT researchers. On one hand they are an important reference for the present and subsequent generations, and on the other hand they serve as a paradigm for the rejection of the cliché of entirely hermetic scenes. By presenting them, the exhibition attempts to counter a one-dimensional, monopolizing interpretation with a more complex and emancipated version, which abandons the predicative and iterative scheme of institutional linear histories of art. 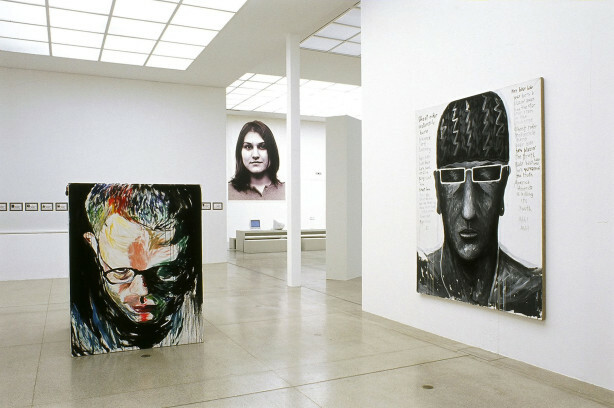 In the 1990s, artists living and working in Belgrade had to keep up and rebuild the art scene in a closed society that forced them to deal with financial and structural exclusion, isolation, limited traveling and other restrictions.